The project aimed to diversify farm activities and increase non-agricultural actions through the restoration of an existing old building and the construction of tourist facilities in the village of Ostritsa. In 2008, 24-year old Tsanko Stoytchev built his own fruit and vegetable farm in the village of Ostritsa. The beneficiary began to cultivate a 10 ha apple orchard. He then applied for funding under Measure 112 'Setting up young farmers' to expand and modernize the farm. The farm has now 2 ha more for vegetables (tomatoes, peppers and cabbage). Subsequently, Tsanko Stoytchev decided to diversity its activities, reaching out to tourists, and applied to other RDP funds in 2010. The overall purpose of the farmer was to achieve a sustainable long-term development by integrating economic activities with non-agricultural activities through the newly built guest house. This structure enables the farm to offer tourist services to a bigger number of guests which in turn increases the farm income. The main activities were the construction of a guest house, the renovation of other farm buildings, the construction of a swimming pool and a barbecue in the yard. A website was also developed. The guest house consists of 6 rooms with 18 beds and two suites. A small heated swimming pool, a children's pool and a barbecue were built in the yard. 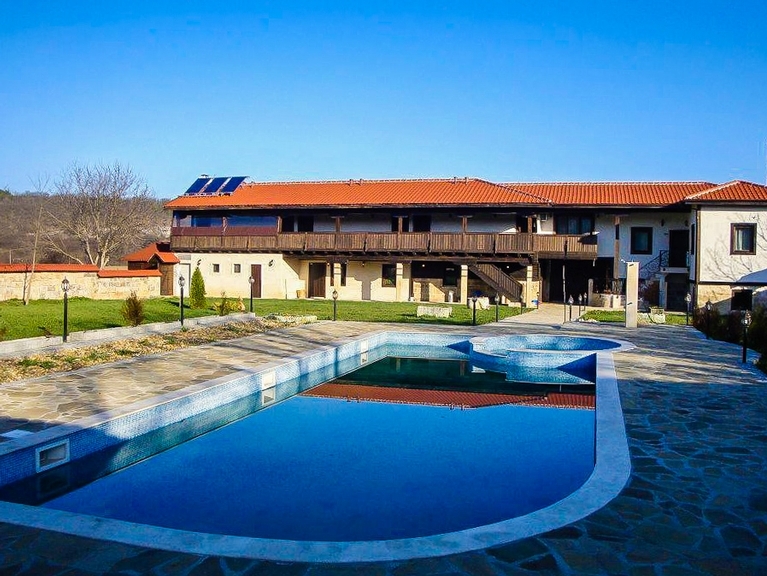 The architectural style is similar to the old Bulgarian monasteries – the whole structure is made of stone and wood, which with the surrounding landscape captures the romantic spirit of the Bulgarian village. Part of the guest house was built on a former farm building by preserving existing stone walls. This project, under Measure 311, to build facilities for rural tourism was planned during the implementation of the business plan envisaged under Measure 112. The farmer benefited also from a vocational training organised under Measure 111 "Vocational Training" by the Bulgarian RDP.